All is well again in Foxboro after the Patriots steamrolled the Miami Dolphins on Sunday, 38-7, to improve to 2-2 on the season. Notable for a return to form after suffering back-to-back double-digit losses for the first time since 2002, the game could come to be remembered as Sony Michel’s breakout performance. After a pair of so-so performances to begin his career, Michel demonstrated all afternoon long why New England used the 31st overall pick in the 2018 draft on the 23-year-old from the University of Georgia. He had the first 100-plus yard rushing game of his career, clocking in at 112 yards on 25 carries. 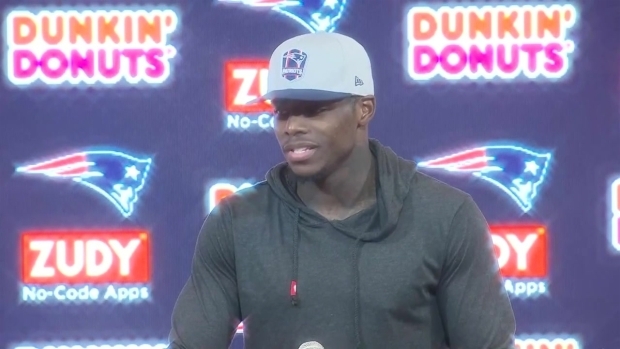 Patriots QB Tom Brady and WR Josh Gordon speak to the press after New England defeats the Miami Dolphins Sunday afternoon. Michel had the longest run of his career, a 23-yard gain, and also scored his first career touchdown. Tom Brady matched an NFL record with his 55-yard touchdown pass to Cordarrelle Patterson in the second quarter. Patterson is the 70th receiver to catch a touchdown pass from Brady, pulling him even with his one-time backup, Vinny Testaverde, in the process. Brady also threw a 9-yard touchdown pass to Phillip Dorsett and a 14-yard touchdown pass to James White in the game. It was a two-score day for White, who had a 22-yard rushing touchdown. In all, White had 112 yards from scrimmage (44 rushing, 68 receiving). Patriots Panic Meter: Is It Time to Sound the Alarm Yet? Brady finished with 274 yards passing, completing 23 of his 35 passes. He also threw two interceptions, the first time he's done so in a home game since 2015. Josh Gordon debuted for New England, catching two passes for 32 yards. His first reception came on a third-and-6 on the first drive of the game for the Patriots, good for 13 yards; the fact Brady would look Gordon's way in such a situation at all is a very good sign moving forward. Gordon played in 18 out of 78 offensive snaps for New England, according to ESPN's Mike Reiss, and was targeted three times. "I have no doubt I'm going to take advantage of this opportunity," Gordon said. "I'm more than blessed. I'm extremely grateful to be put in this scenario. I think the only thing right for me to do is take full advantage of it. I'm loving it, I'm enjoying it, the guys here are great, it's a real home environment and I feel as comfortable as ever here. It's awesome." 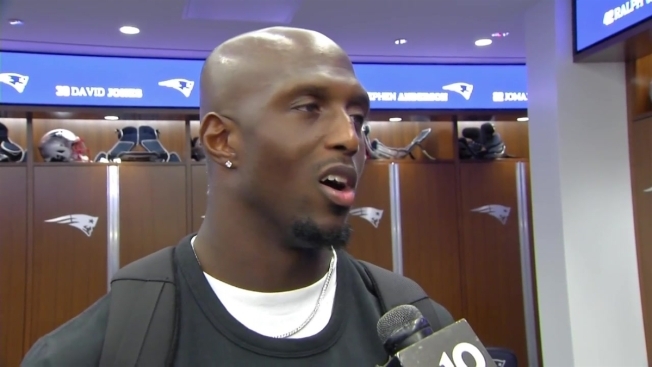 "He's put in a lot of work, a lot of time trying to understand where to line up and what to do, and he came up with some big plays today," Brady said of Gordon. "He kind of got us going in certain areas. Everyone played pretty good who was out there today, so it was great to have him out there." Defensively, it was unquestionably New England's finest performance through four games this season. The Dolphins didn't score a touchdown until backup quarterback Brock Osweiler led Miami down the field with 2:42 left in the fourth quarter, connecting with Frank Gore on a 6-yard touchdown pass. Kyle Van Noy recovered a fumble, part of a monster game for him in the front seven for the Patriots. He had four tackles and was credited with two quarterback hits. JC Jackson, an undrafted rookie who made New England's roster out of training camp, had the first interception of his career in the third quarter. The pick capped off a dismal day for Dolphins starter Ryan Tannehill, who completed 11 of 20 passes for just 100 yards. John Simon, signed to the active roster for the Patriots just last week, had a sack and finished tied for second on the team with five tackles. Rob Gronkowski left the game with an ankle injury in the second half. Adam Butler and Elandon Roberts also left the game with injuries in the second half, but each player was seen in the locker room after the game and told reporters they were okay. No such update was given on Gronkowski. It's a short week for the Patriots, who now must get ready for the Indianapolis Colts on Thursday Night Football. The game is at Gillette Stadium at 8:20 p.m. Wide receiver Julian Edelman, who was suspended for the first four games of the regular season, is eligible to return for the Patriots. "It will be great to have him," Brady said. "I mean, we haven't seen him in four weeks, but I know he'll be ready. And it's a short week, so I'm sure he'll be in here ready to go. Everyone loves Jules and loves having him back."